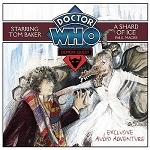 Tom Baker reprises the role of the Fourth Doctor in this thrilling climax of five brand new adventures, with Richard Franklin as Mike Yates and Susan Jameson as Mrs Wibbsey. 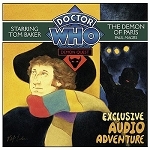 The TARDIS arrives on Sepulchre, and the Doctor and Mike find themselves in an old, dark house. Who awaits the two men there? What plans have been laid for their arrival? They soon discover from their host - and his housekeeper - that this is the culmination of a terrible, grand plan - one with the Doctor at its very centre. One from which he may never escape...As the Atlas of All Time unfolds, the odds seem stacked against the three old friends. Which of them will fall before the night is out? 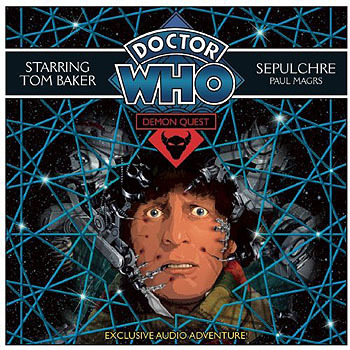 With Tom Baker as the Doctor, Richard Franklin as Mike Yates, Susan Jameson as Mrs Wibbsey, Nigel Anthony as the Host and Carole Boyd as the Old Friend, "Sepulchre" is the last of five linked stories written by the acclaimed Paul Magrs.